Stem cells have the ability to continuously divide and transform into different cells that the body needs for repair and regeneration to delay aging and to even repair damaged cells and regenerate sick cells or organs. The anti-aging effects are manifested in terms of increase in energy resulting in longer productive hours, increased mental alertness and comprehension and in sexual desire. Anti-aging is also seen in the improved quality of the skin color, radiance and texture. These anti-aging benefits sum up to better quality of life for the patient. One of the hottest issues that we face in our existence today. Can we really regenerate cells for dead or dying cells? I think the answer is yes. The procedure is called stem cell transplant. This is a new old story in the Philippines, however has the potential to be broaden. Asian Regenerative Center for Cellular Therapies (ARCCT) will soon be taking a different level of stem cell therapy in the Philippines. Slated on September this year. This therapy uses manipulation technology that will lead us to what they say the solution of degenerative and autoimmune deceases. ARCCT will be the leading pioneer in stem cell research and innovations for wellness and anti-aging programs in the country. This procedure is still debatable in this moment in time due to morality issues. The target of stem cell institutes are to educate people how it became moral and immoral. Pushing education to this procedure will let people know that this is not indeed immoral. This research is just a tip here in the Philippines, so to speak. 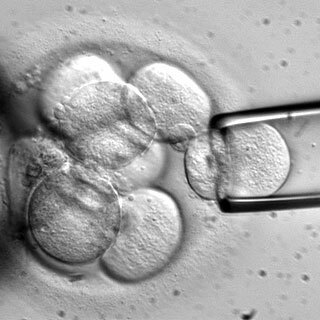 Also, ARCCT will use stem cells from human sources and not on other human or animal embryos. “You see, stem cells can be sourced from bone marrow, cord blood, and even muscle, said Carrion. Carrion added that what ARCCT will do is broaden the application and give more option and more affordable offers to the Country. “We would rather refer to stem cell therapy as cellular regenerative therapy because of the wide range of applications that this new medical technology can offer patients skin and adipose tissue. So if one has the proper technology, there’s really no need to take from human or animal embryos,” said Carrion. The procedure is an example of application or medical technology that processes, reduce or to eliminate the use and generation of hazardous substances. It also minimize the impact of the natural human generation. Stem cell therapy will allow you to avoid the chemical treatment like chemo therapy for cancer patients. QUESTION: Since this is hot, what is your opinion on this issue? Where is it located here in the Philippines??? ?